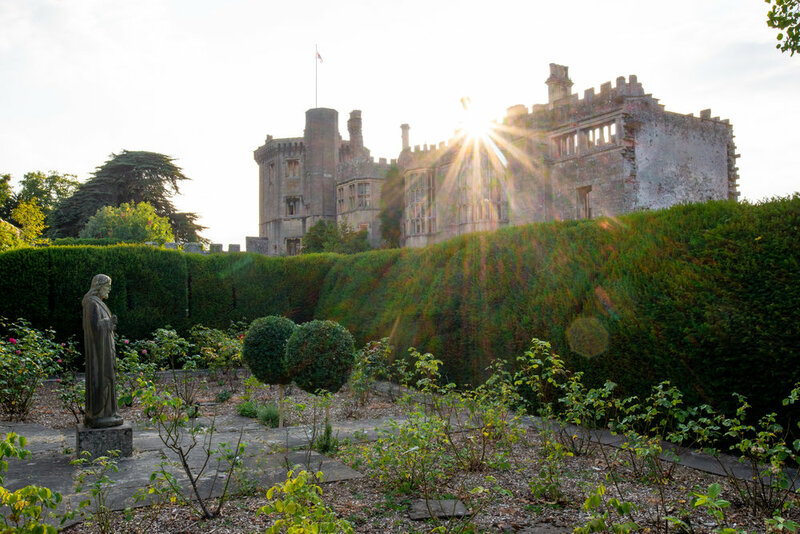 Deep in the rolling green hills of South Gloucestershire, resides Thornbury Castle, which was once owned by the infamous King Henry VIII. This is no ordinary castle though because despite it's fascinating history and secrets that it retains, you can actually sleep there! The hotel catapults you into medieval times where you find yourself immersed in the fortress, imaging what life must have been like in this era. 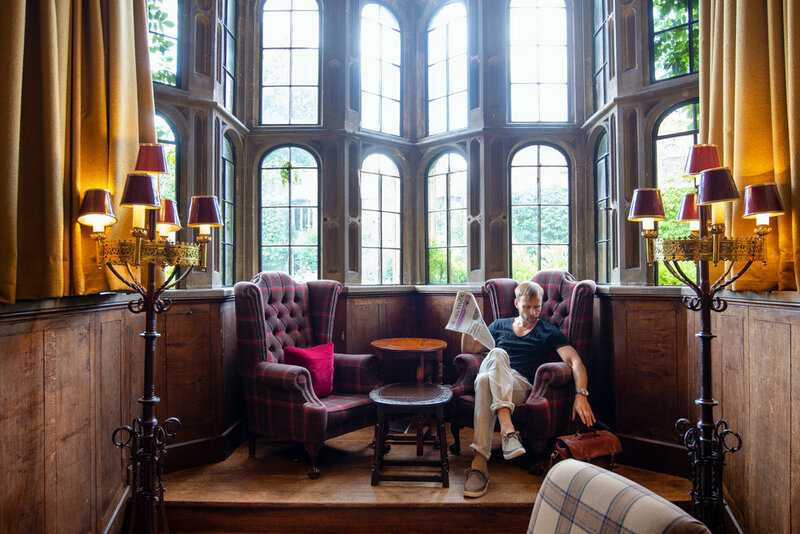 With 28 rooms to choose from- we slept in the Tower Suite where we climbed the 77 steps up the stone spiral staircase to the top of the tower to find our grand suite with views all the way to Wales. Wood floors, fire places, a clawfoot bathtub, and brilliant ancient paintings were just a few things manifesting the charming accommodation. Our four-poster bed is actually known as the biggest bed in all of Europe- practically the size of two king beds- truly the most comfortable thing I have ever laid down on. From our bathroom we had views of the St Mary Church towering outside above the ancient graveyard. 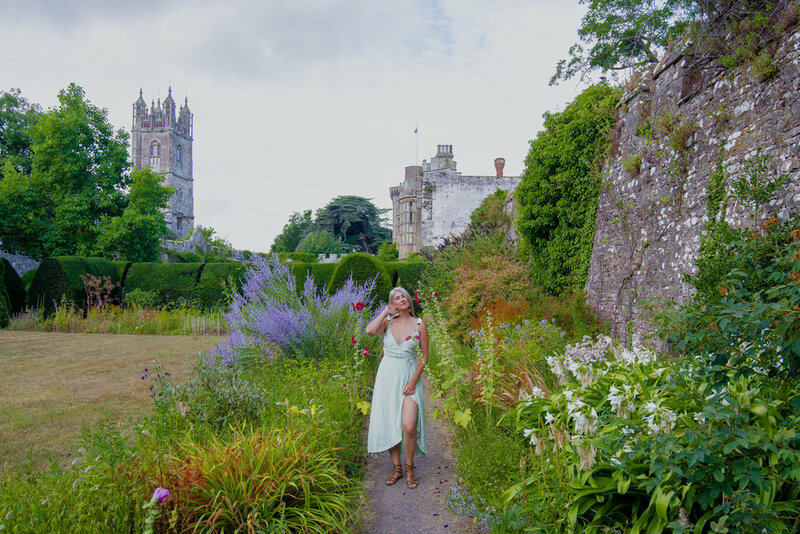 Outside you can wander the precious gardens and get lost in the endless maze of lavender and greenery, stroll beneath the tunnels of hedges, and walk alongside the original walls of the castle. Plunge into former Tudor England and you play croquet on the yard, try your luck with archery, and even learn about falconry. 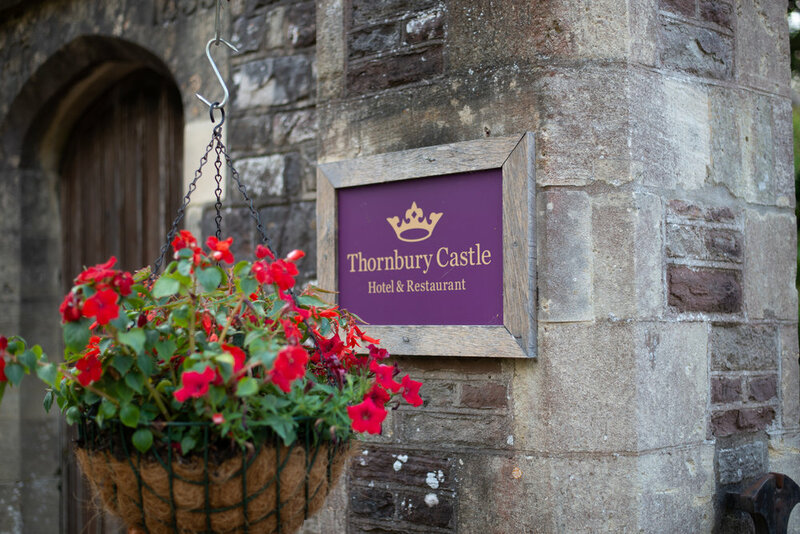 At Thornbury you can dine in a hidden medieval dungeon with a wine cellar, tie the knot on the romantic lawn, and walk the same steps that prominent nobles and monarchs once used. 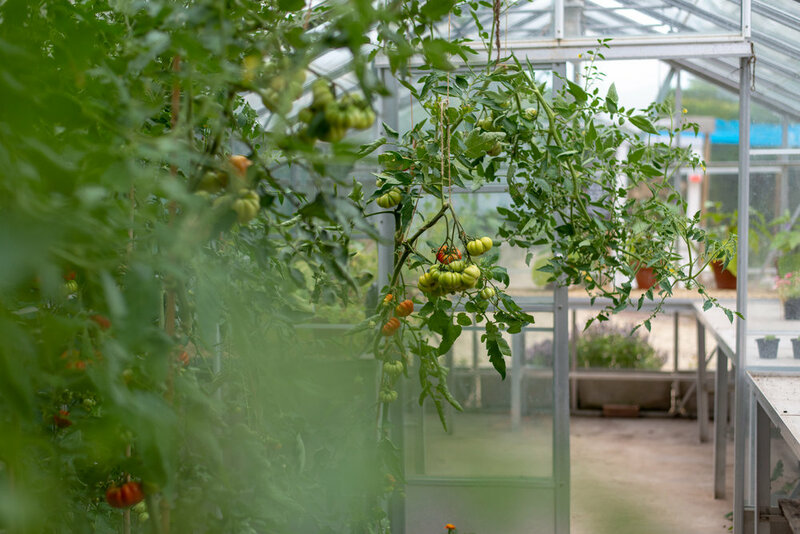 The newly opened Castle Farm allows you to wander the greenhouses, check out the chickens, and discover all of the wonderful produce growing on the property of which you can of course enjoy in their award winning restaurant. You can also explore the castle's vineyard which backs up to original ancient ruins. I would imagine that visiting Thornbury would be an incredible experience in any season of the year. From the castle you are just steps away from the adorable town of Thornbury. The colorful villages has great restaurants and beer gardens as well as cute shops. One afternoon we actually even jogged to the River Severn splitting England and Wales. We got to stand on the river banks at low tide surrounded by hundreds of sheep. From here you are also a short drive away from the bustling town of Bristol as well as Bath, known for its Roman Era Bath and impressive Georgian architecture. You're also right at the base of the Cotswolds, where you can drive through rolling hills and explore one charming medieval villages after the other.